The Countdown for the most awaited IBPS PO Prelims has started! Now aspirants are left with just 4 days to finalize their preparation for the Preliminary exam. This year IBPS has released 4102 vacancies for the recruitment of Probationary Officers and all you need is 1 seat to reify your dream of getting a job in reputed Public Sector Bank. Are you Wondering What to Expect in IBPS PO Prelims? 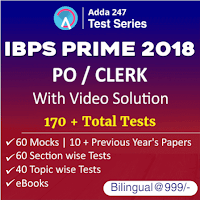 Then keep on reading because in this article we will discuss the pattern and types of questions you can expect in IBPS PO Prelims Examination. IBPS PO Prelims examination will take place in shifts through the day on 13th and 14th October, and we expect there to be variations in the the topics asked in the shifts. The variations occur in terms of the miscellaneous portion of questions, for example its possible that there might be questions of Syllogism in one shift but not in other(s). But there are certain set of topics that you can expect in almost every shift of the PO Prelims examinations, like Puzzles and Seating Arrangement in Reasoning, Data Interpretation (Tabular, Pie Chat, Bar Graph or Line Graph) in Quantitative Aptitude Section along with Arithmetic Word Problems, and Reading Comprehension and Error Detection Questions in the English Language Section. 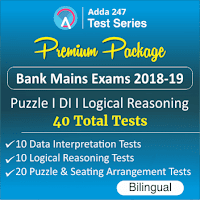 If we observe the trend of hot topics for Reasoning Ability in recently held banking examinations, we can say that you can expect the following in various shifts of IBPS PO Prelims: Puzzle and Seating Arrangement, Syllogism, Inequality, Blood Relation, Direction Sense, Alphabets or Alphabet Series related questions, Number based or Numeric Series related questions, Machine Input Output, Order & Ranking, Coding Decoding and Data Sufficiency. Quantitative Aptitude section in IBPS PO Prelims 2018 may follow the recent trend of having questions of Data Interpretation, Simplification/Approximation, Inequality/Quantity based questions, Missing/Wrong Number Series and Arithmetic Word Problems. You can expect at least 2 sets of DI with a set containing near about 5 questions, where if 1-2 questions are lengthy then 2-3 questions can be of moderate level. Your aim should be to attempt the do-able questions first and to keep accuracy in mind. In English Language section be prepared to face question sets of Reading Comprehension, Error Detection, Vocab/Spelling Based questions, Sentence Rearrangement, Cloze Test, Sentence Improvement/Phrase Replacement. The recent analysis states that vocabulary based questions are trending in banking examinations, and choose wisely in what you attempt because even a fraction of mark can make or break your deal. Do not panic, its time for you to revise and brush up your skills rather than mugging up concepts and formulas. Practice as much as you can to develop speed and correct approach. At the end, remember your dedication and hard work will surely pay off... you just have to be confident and patient! !